It’s sometimes called "the itch that rashes," because the itching usually comes first. 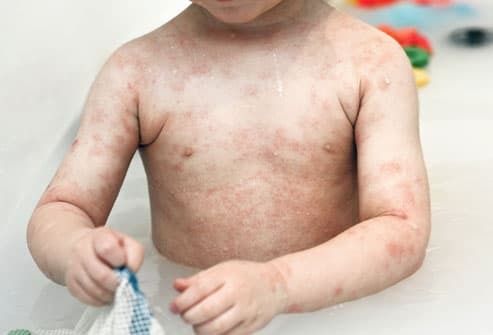 This group of skin rashes may first appear in babies and toddlers, becoming drier and flaky in older children. 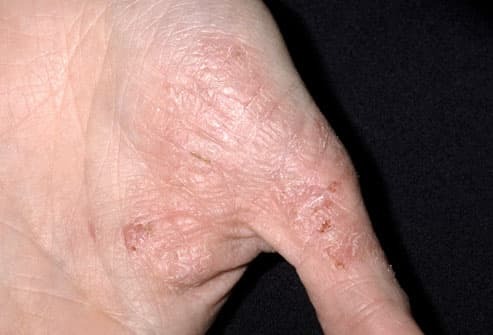 Adults may see scaly, leathery patches or a stubborn hand eczema. Atopic dermatitis is a common, often-inherited form, but there are other types and many treatments. If you have dark skin, the affected area might be lighter or darker. 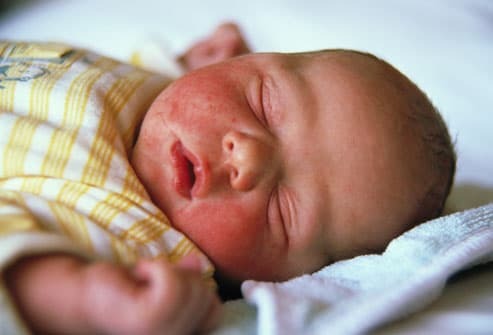 Infants who are just 6 to12 weeks old can get atopic dermatitis as a patchy facial rash. It can become red and scaly, and it may appear on the forehead or scalp. Moisture from drooling makes it worse. In some cases, the condition goes away by age 2. But about half of people who had atopic dermatitis as a child will have it as an adult. 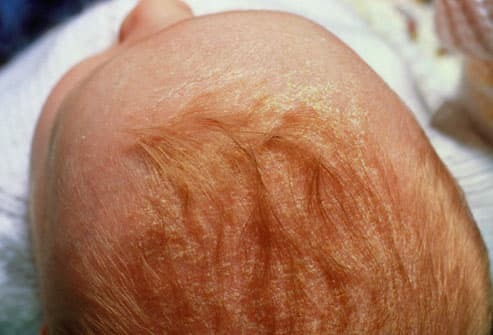 Atopic Dermatitis or Cradle Cap? "Cradle cap" in babies is a condition that doctors call seborrheic eczema or seborrheic dermatitis. It appears as yellow, oily, scaly patches on the scalp. Usually it clears up without treatment at 8 to 12 months of age. 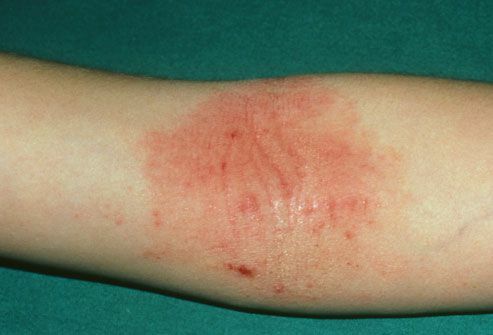 In contrast, atopic dermatitis usually appears as a red rash. It's more often found on the cheeks, but it can also affect the scalp. 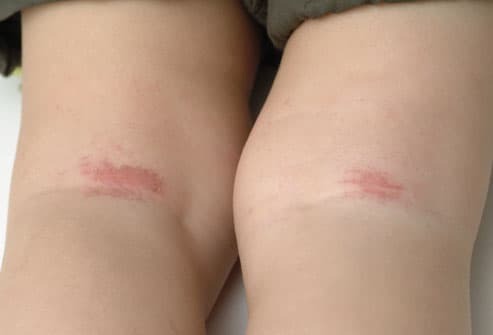 Kids can get the rash on the inside of their elbows or behind the knees, around their mouths, on the sides of their necks, or on wrists, arms, and hands. Those with atopic dermatitis are more likely to have food allergies, including allergies to peanuts, milk, or other nuts. But you shouldn't restrict foods unless your doctor confirms a food sensitivity. It’s not contagious, either. You might notice itchy patches on the hands, elbows, and in the "bending" areas of the body, such as the inside of the elbows and back of the knees. But eczema can appear anywhere, including the neck, chest, and eyelids. 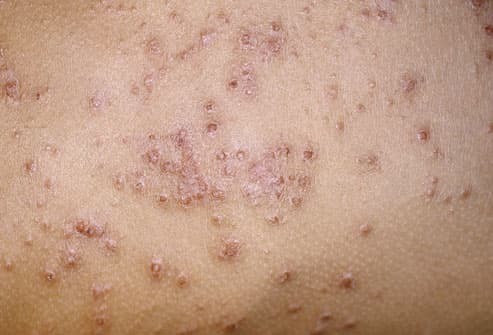 People who had atopic dermatitis as a child may see drier, scaly rashes as adults. 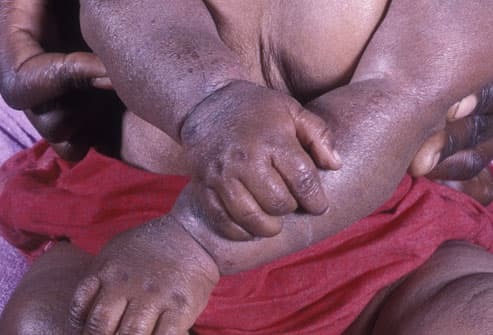 The skin may be discolored or thickened. If a rash won’t go away, is uncomfortable, or develops a crust or pus-filled blister, see your doctor. She'll check your medical history, symptoms, and ask you about any allergies that run in your family. You may also get allergy tests or a microscopic exam of a skin scraping (seen here) to rule out infections. 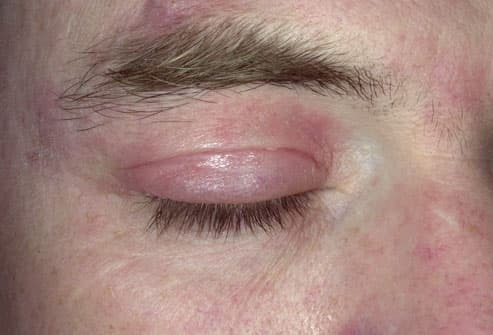 There's a connection between those two conditions and atopic dermatitis. 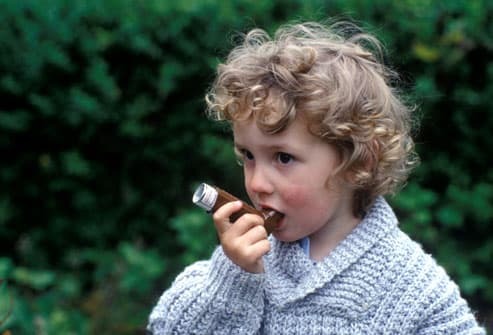 If a parent has hay fever or asthma, their children are more likely to have the skin condition. And about half of children with atopic dermatitis will go on to get hay fever or asthma. The triggers that bring on an allergy attack -- dust mites, pollen, animal dander, mold -- can cause some people with atopic dermatitis to break out in a rash. Food allergies also can set off a flare-up. These allergens cause the immune system to overreact, leading to skin inflammation. 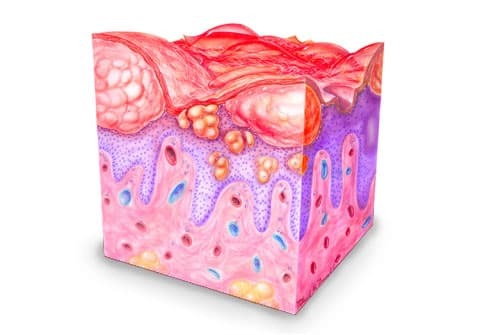 Your skin’s outer layer normally acts as a barrier. It protects the inner layers from irritants and infections. People with atopic dermatitis have very dry skin that isn't as protective. If you have eczema, use mild cleansers and a moisturizer after you wash. A dry climate or winter’s low humidity can cause the condition to flare up. People with atopic dermatitis are also more likely to get skin infections. Doctors don't know exactly what causes atopic dermatitis, the most common form of eczema. Your genes, environment, and other things likely all play a role. An immune system problem could create inflammation in the skin. Emotional disorders aren’t a cause, but stress can make symptoms worse. People with atopic dermatitis may scratch as many as 500 to 1,000 times a day. It worsens the rash and can make an infection more likely. Use a cold compress to ease the itchy feeling. Distract children with activities. 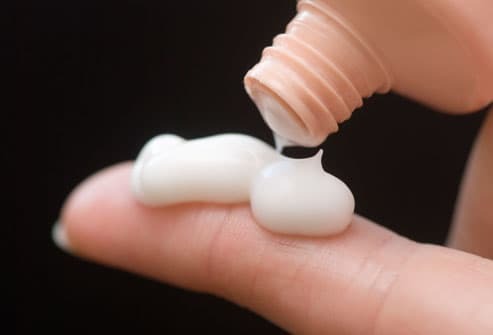 Moisturizers are soothing, and some medicated creams or ointments may help, too. 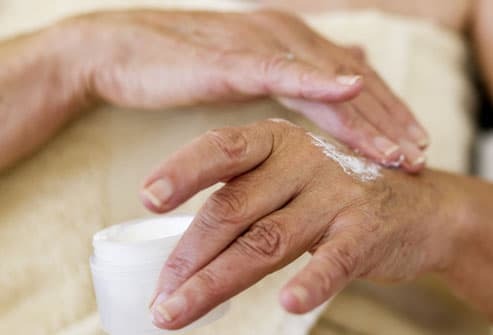 Over-the-counter hydrocortisone products may help mild cases of eczema. Don’t use them on children under 2 or for more than 7 days unless your doctor says it’s OK. Sometimes, people need stronger corticosteroids to control the inflammation. Long-term use can have side effects, such as thinning skin, infections, stretch marks, and visible blood vessels. If other treatments don’t work, your doctor may recommend steroid shots or pills. These meds may provide relief from the cycle of itching and scratching for some people with atopic dermatitis. Many OTC and prescription-only options are available, each with slightly different dosing and side effects. Check with your doctor for a recommendation. Prescription skin medicines that calm an overactive immune system may help treat eczema from atopic dermatitis. 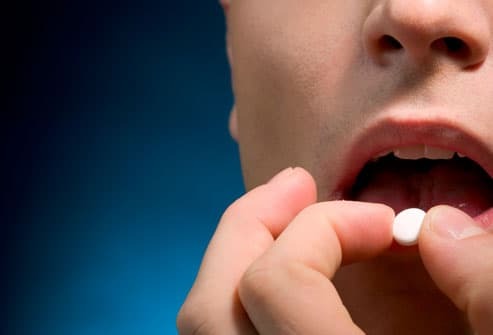 Doctors generally prescribe them only when other treatments haven't helped, for short-term use, in certain people. They carry a "black box" warning due to concerns about an increased risk of cancer. But the American Academy of Dermatology disagrees with that warning. So ask your doctor about the pros and cons. Alitretinoin, a relative of vitamin A, can improve or even clear up this condition when other treatments don't work. It hasn’t yet been approved by the FDA for this use. It can give you headaches or dry, flushing, or sun-sensitive skin. Alitretinoin can cause severe birth defects, so you should not plan to get pregnant when you take it. It also helps to wear gloves outside in winter to protect your hands. UV light affects the immune system. In some people, it can improve moderate to severe cases of eczema from atopic dermatitis or contact dermatitis. 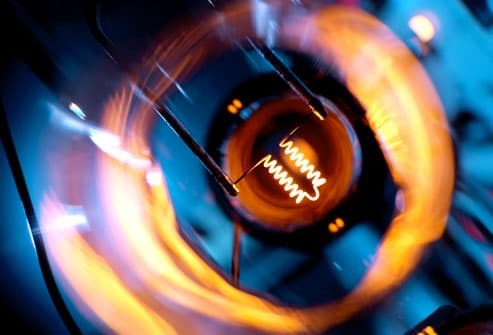 “PUVA” is a UV treatment combined with a drug called psoralen. But it doesn’t work for everyone, and it makes some people's eczema worse. Also, too much UV light is bad for your skin. So you should talk to your doctor about the risks and benefits. Keep your child's fingernails short and their skin moisturized. Dress them in loose-fitting clothes and make sure they don't become overheated. Depending on how severe the condition is, your doctor may recommend corticosteroids to treat atopic dermatitis. There are also prescription skin treatments, pimecrolimus (Elidel) and tacrolimus (Protopic), for children 2 years old and up. A small amount of household bleach in the bath may help control atopic dermatitis if someone has a staph infection, too. 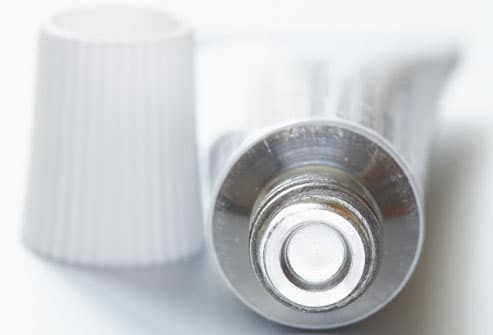 In one study, children with moderate to severe atopic dermatitis and staph soaked in diluted bleach baths and used an antibiotic ointment in their noses. These treatments improved their skin symptoms. Parents should talk to a dermatologist or other doctor first. Some research shows that probiotics, oolong tea, or Chinese herbal medicine may ease symptoms. But other studies haven’t backed that up. 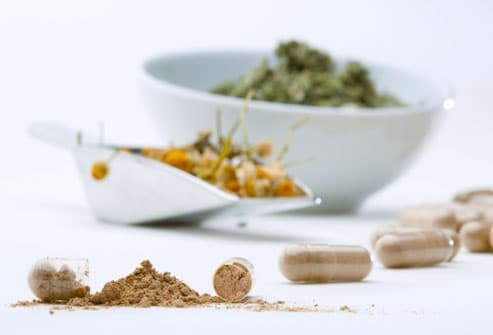 Herbs and supplements can have side effects, so talk to your doctor first. Things that lower stress are a good idea to try. 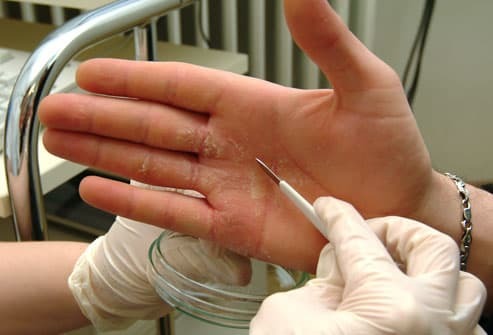 Almost all people with atopic dermatitis have “staph” (Staphylococcus aureus) bacteria on their skin, compared with just about 5% of people without the skin condition. Tell your doctor about symptoms of an infection, such as honey-colored crusts, pus- or fluid-filled blisters, scaly red patches, swelling, or a fever. Even when the eczema eases up, your skin may still be dry. Take short daily baths in warm water. Pat your skin partially dry and use a thick moisturizer, as well as any medication right after your bath. Moisturize throughout the day and stick to mild soaps or cleansers. Look for fragrance-free products to help prevent a reaction. Remember, "unscented" may just mean the product contains another ingredient to mask the scent. 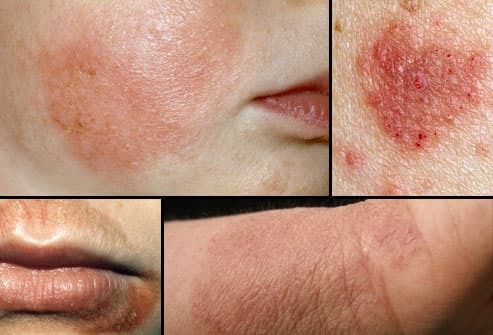 Does your child feel self-conscious about his rashes? Help him avoid triggers and tame stress. The American Academy of Dermatology hosts Camp Discovery for kids with skin conditions. Adults with the condition may need to make some changes. 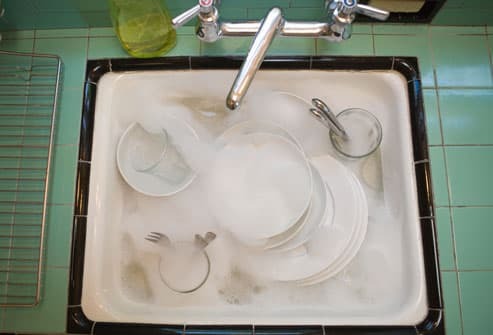 Jobs that need a lot of hand-washing or involve exposure to chemicals or other irritants -- such as health care, housecleaning, or hairdressing -- may not be a good choice if you have eczema. 2) Dr. P. Marazzi/Photo Researchers, Inc., Dr. Hercules Robinson/Phototake, Dr. Allan Harris/Phototake, Mendil/Photo Researchers, Inc.
Huang, J. Pediatrics, May 2009. National Institute of Arthritis and Musculoskeletal and Skin Diseases.